JK-Mid-Tri - Yagi antenna of 3 elements for the 20 m band, 4 elements for the 15 m band and 5 elements for the 10 m band on a 24 feet (7.32 m) boom. 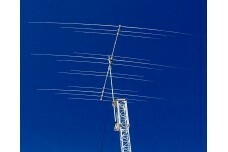 This Tribander elements follow the same taper schedules and element construction as the JK-Navassa5 antenna. We have specifically focused on the mounting position of this Mid-Tri Yagi to enable stacking of this antenna on the side of a tower. A good 3 ft spacing between the elements gives the side-mounting option on most towers available in the market today. If you also need 40 m, check out the JK Mid-Tri-40 !! 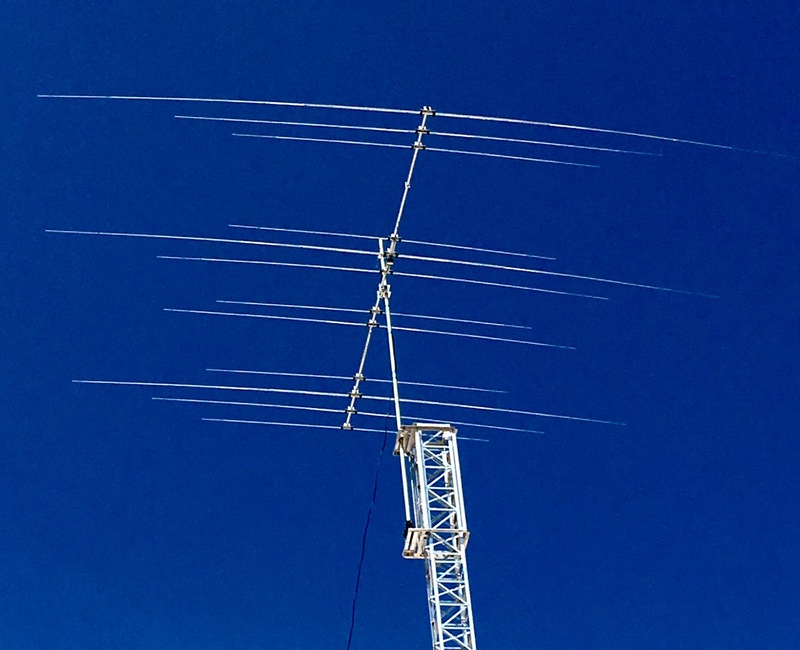 The 40 m band has its own feed point which enables you to stack a JK Mid-Tri-40 on the top with a JK Mid-Tri on the bottom in a stack (see stack plots below). 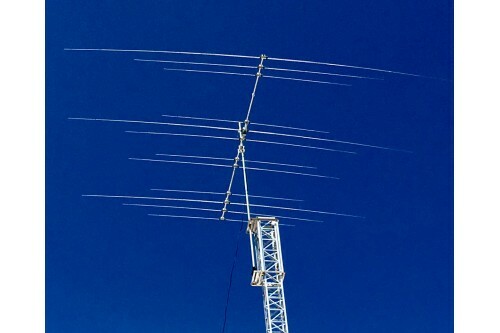 The antennas have excellent Gain, F/R and SWR characteristics and are manufactured the same way as our larger Yagis with the same high quality materials and hardware.